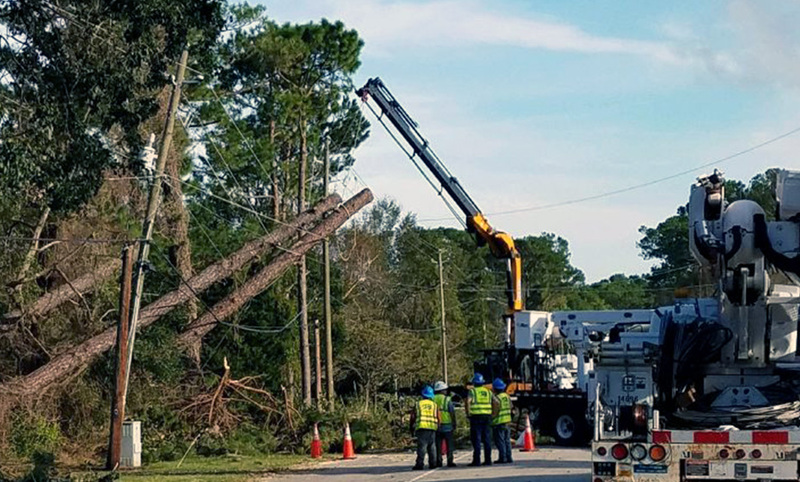 Duke Energy was prepared and restored 1.8 million outages in its service territory in heavily hit towns such as Wilmington and New Bern, Jacksonville and Morehead City and Lumberton and Trenton in North Carolina and Dillon and Florence in South Carolina. 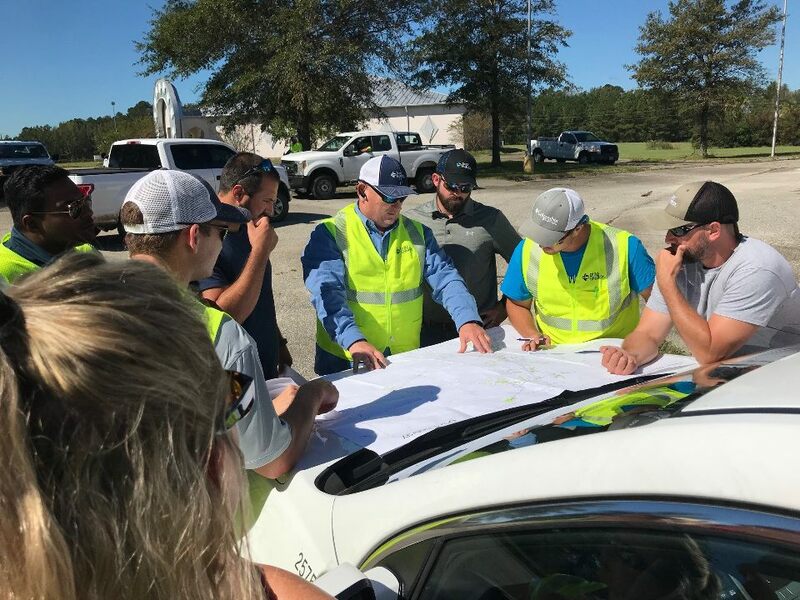 The company assembled a team of more than 20,000 that included energy companies from other states and as far away as Canada. Here's a look at the storm's aftermath. 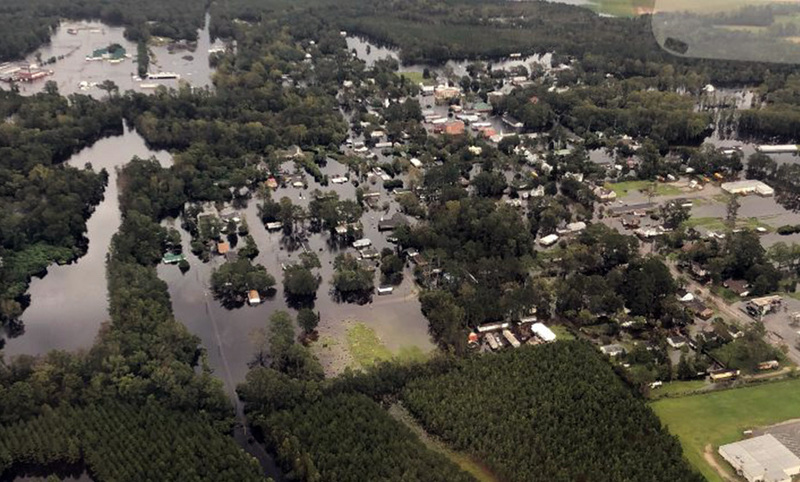 Flooding in Trenton, N.C., north of Jacksonville. 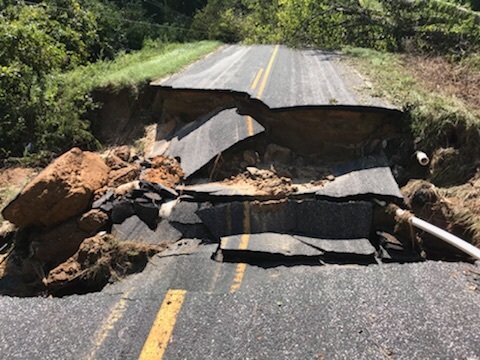 A road in Florence, S.C. 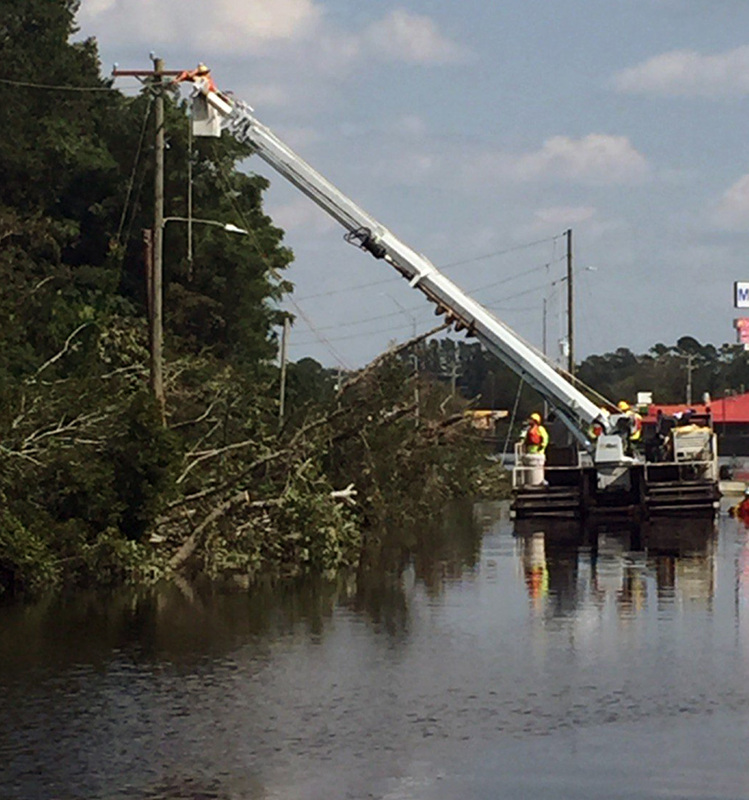 Working out logistics in Dillon, S.C.
More than 1,500 meals were made for crews staged in Dunn, N.C., each day. 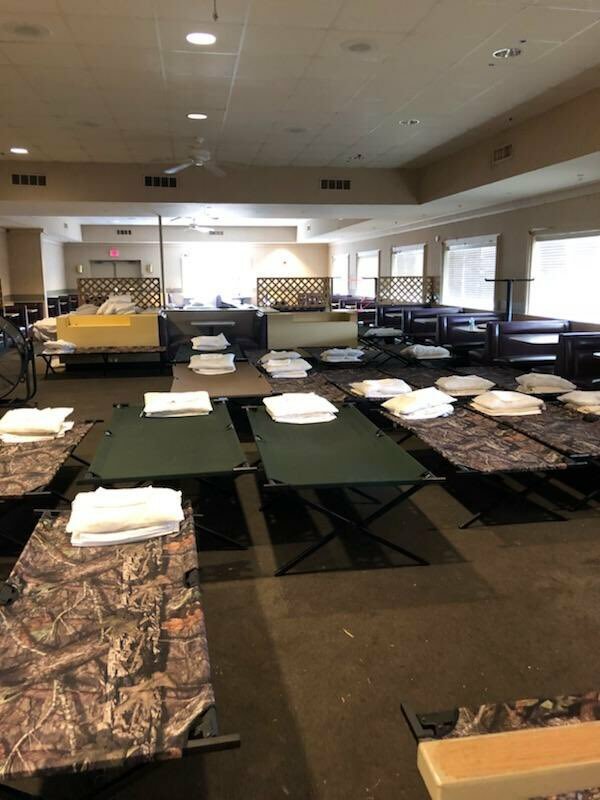 About 300 workers have called this home for days. Flooding and road closures created challenges. 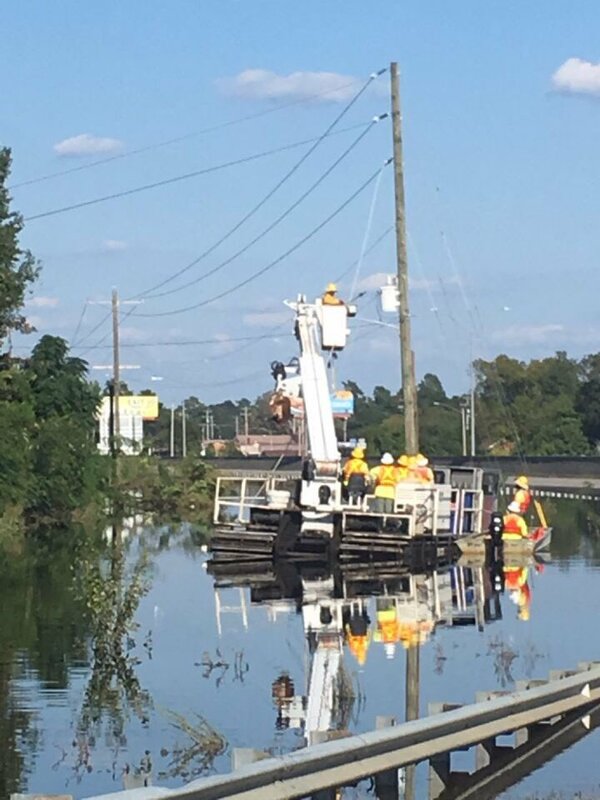 This crew is using a track vehicle to make repairs at Caton Road and I-95 in Lumberton, N.C.
Track vehicle gains access to a flooded area in Lumberton, N.C.
Crews had to replace poles on Towle Road in Wilmington. 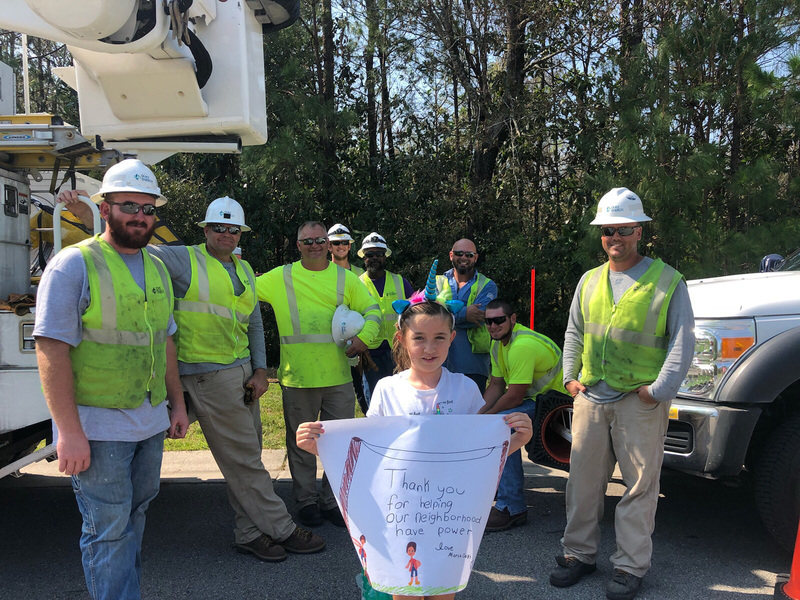 This young lady thanked the Duke Energy linemen from Ohio and Kentucky in her South Wilmington, N.C. neighborhood. 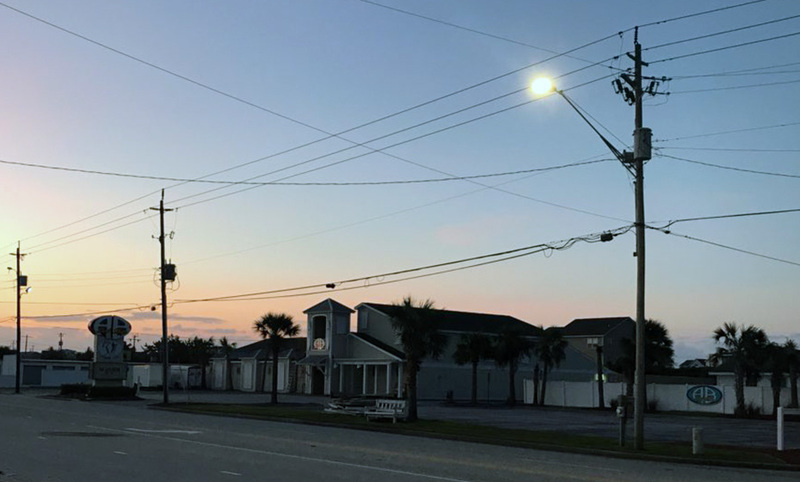 Sunrise in Atlantic Beach, N.C., on Sept. 21. The lights were back on but it was mostly a ghost town. Just about everyone in town is a storm responder.